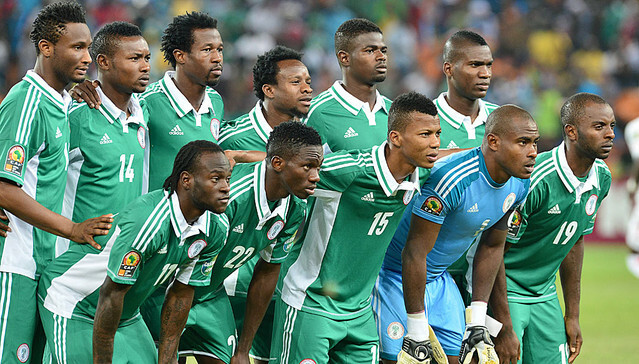 The Nigerian national football team has been ranked 66th in the world and 14th in Africa in the latest FIFA ranking released today Thursday December 3rd. The Super Eagles are on the 14th place in Africa, behind Cote d’Ivoire, Algeria, Ghana, Cape Verde, Tunisia, Senegal, Congo, Guinea, Egypt, Cameroon, Congo DR, Mali and Uganda. Belgium is ranked the highest team in the world. Argentina is on the second position, Spain on the number 3 spot while Germany drops to the 4th position from 2nd. The next FIFA World Ranking will be released January 7.